→Is Rice Keto-Friendly? 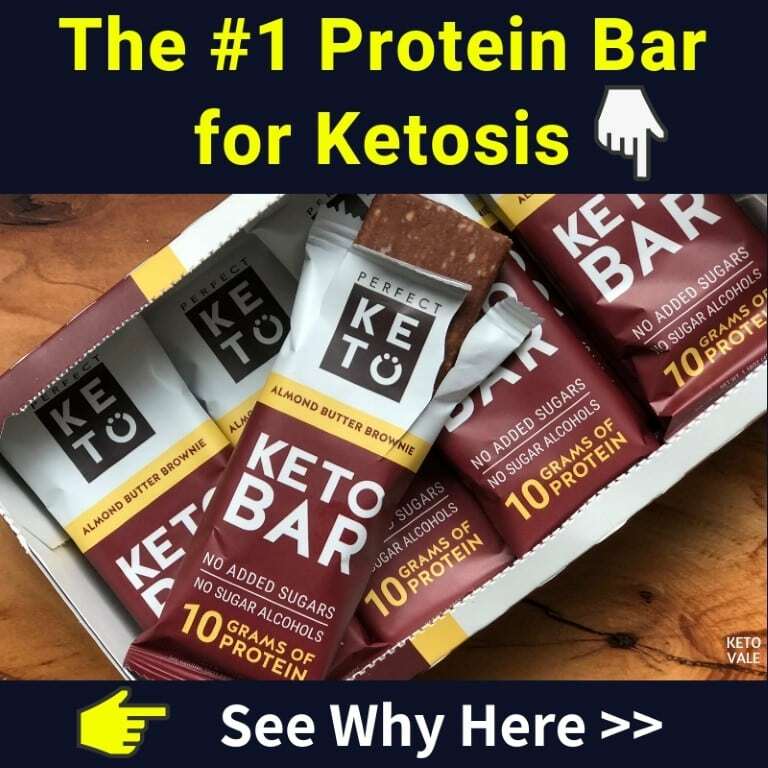 Can You Eat It On A Keto Diet? In a perfect world, ketogenic dieters could have their cake and eat it, too. Or in this case, they could eat rice at every meal. Aside from having numerous proven health benefits, rice is downright delicious. It also goes great with meat and vegetables, and is a true comfort food. The problem is that rice is super high in carbs and cannot be eaten on a low-carb diet. 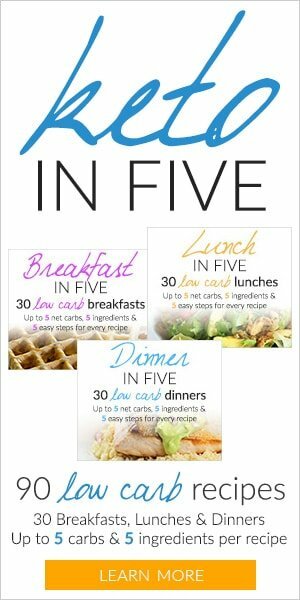 However, with some creativity, you can work around this and add low-carb rice alternatives to your ketogenic meals. Here’s everything you need to know about rice, including how to enjoy low-carb versions on the ketogenic diet. Rice is scientifically known as Oryza and can be divided into two primary types: long grain indica and short grain japonica (1). Cultivating rice dates back approximately 8,000 years ago when people in China used tools to help them farm it. Then merchant traders helped spread rice across the different continents. Now, rice is a staple in over 100 countries around the world. Rice is inexpensive to make and high in calories, which means it can be used to provide energy and nutrition to lots of people for cheap. It can be eaten steamed or fried and added to sweet and savory dishes alike. No matter what you’re pairing it with, rice never disappoints. Research shows there are thousands of different kinds of rice and they all vary by different factors, such as thickness, size, color, flavor, aroma, and stickiness. In fact, there are as many as 40,000 different varieties of rice worldwide (2). Most of the time, rice is categorized by its method of processing or its shape. Short, medium, and long grain rice is classified by the width and length of the rice after you cook it. Short grains are commonly used in sushi rice. They feature a kernel that is twice as long as it is wide. It is also stickiest when cooked. Medium grains are shorter and have a wider kernel. They are only semi-sticky when you cook them. Lastly, long grain rice is long and slim. It’s four times longer than it is wide, and stays fluffy after you cook it. Most people in the United States consume either white rice or brown rice. Both are calorie-dense, but brown rice tends to be higher in fiber, which makes it a healthier choice. Brown rice is a good source of several vitamins and minerals. It’s also a slow-burning carbohydrate, which means it takes longer to digest and does not spike blood sugar levels as quickly as white rice does. Traditional rice tends to expand and get fluffier as you cook it, so it’s a good idea to measure out your dry rice before you add it to boiling water. Most people accidentally make more rice than they can eat. This is not usually the case with low-carb rice alternatives. As you can see, rice is high in several nutrients, but it is also calorie-dense. At 21 net grams per serving, rice is not a keto friendly food, but it still has numerous health benefits for those who are on other diets. Because rice is so important to many different cultures and it has been around for so many years, it is well researched. The following are the top health benefits of rice, especially brown rice, that are backed by science that studies. Research shows that brown rice may protect against heart disease. According to one study, there is a component in the layer of tissue that surrounds brown rice grains that may inhibit angiotensin II, which is necessary for the development of heart disease and high blood pressure. However, researchers found that when brown rice is polished to make white rice, it destroys this protective compound (4). Another study found that a high-fiber diet that includes brown rice in it helps improve endothelial function, which are the cells that line the surface of your blood vessels (5). This helps keep your heart healthy and strong. It also helps improve blood flow and may prevent damage to blood vessels due to high cholesterol. Brown rice has been shown to be effective at keeping your blood sugar levels stable. Research shows that brown rice contains polyphenols, dietary fiber, and phytic acid, which help lower blood sugar levels among diabetic patients (6). Another study found that switching from white rice to brown rice may help lower your risk of type 2 diabetes (7). Researchers found that replacing 50 grams per day of white rice with the same amount of brown rice was associated with a 16% lower risk of developing type 2 diabetes. This is likely due to the higher fiber content and overall antioxidants that brown rice has. Fiber has been shown to slow the rate in which glucose is dumped into your bloodstream. Research shows that brown rice and may be able to help prevent obesity by altering the glycemic response. One study found that subjects with metabolic syndrome improved several obesity-related markers after ingesting brown rice for eight weeks (8). Researchers found that after brown rice ingestion, glucose and insulin were lower. The subjects also reduced their weight after consuming brown rice for eight weeks, but returned to baseline after switching to white rice. The results of the study concluded that brown rice may have a protective effect against obesity by lowering the glycemic response and protecting postprandial endothelial function in patients with metabolic syndrome. Although brown rice has several proven benefits in regards to obesity, heart health, and diabetes, it is not allowed on the ketogenic diet. This is because it is high in carbohydrates and can kick you out of ketosis. 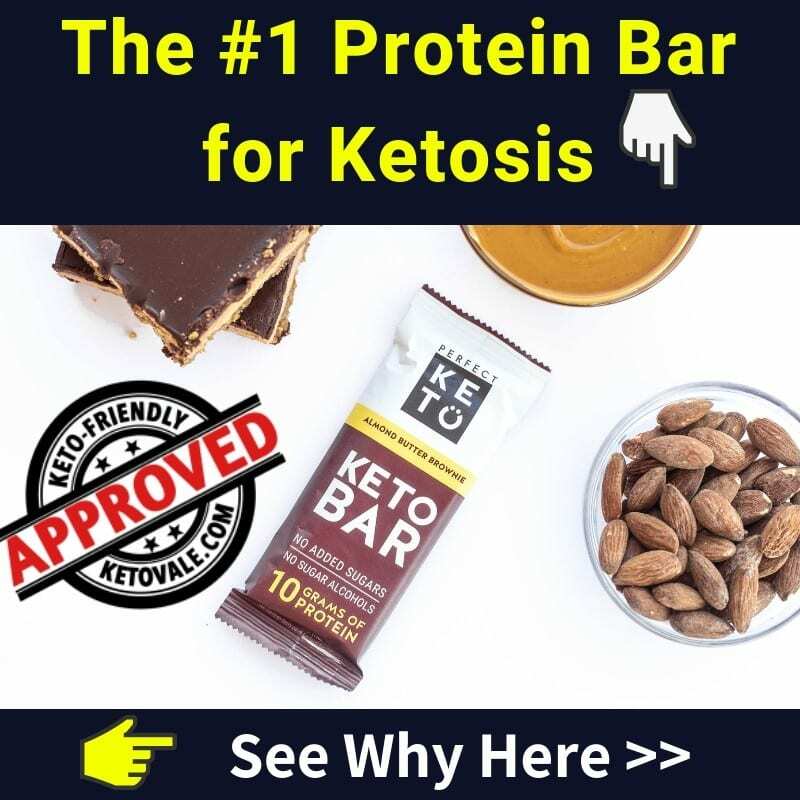 It’s also low in fat and doesn’t contribute much to ketone production especially when you follow keto for maintenance. 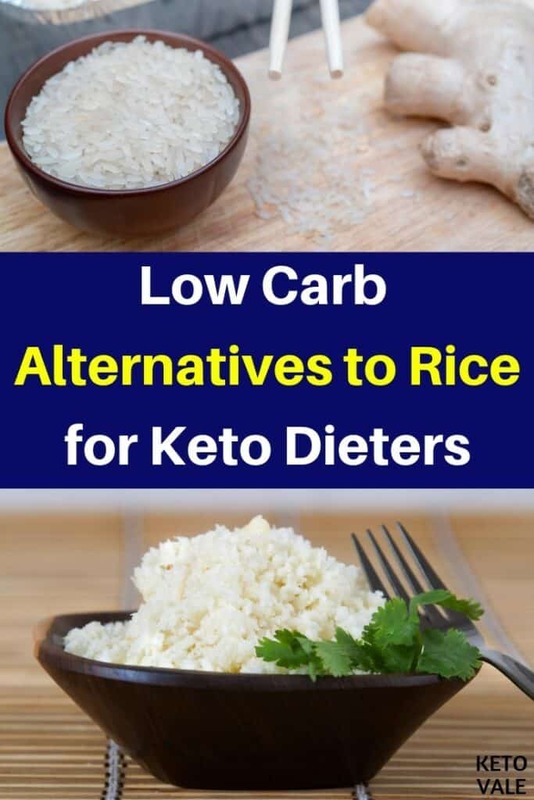 The good news is that many low-carb alternatives to rice exist and they are equally as delicious with just as many health-promoting nutrients. When most people think of rice alternatives, they think of cauliflower. But you can also use several other vegetables in place of rice, too. There are even many low-carb rice substitutes for sale at the grocery store. Cauliflower makes a great substitution for white rice because it looks just like the real thing. A 100-gram serving of cauliflower contains only 3 grams net carb compared to 28g in cooked white rice. 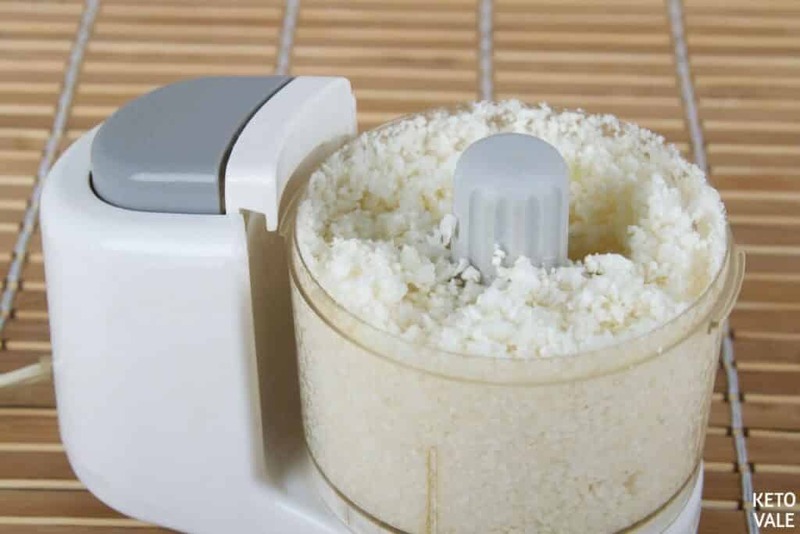 To use cauliflower as rice, you will want to buy a whole head of cauliflower and grate it with a cheese grater into fine particles that are the size of rice. Cooking cauliflower is different than cooking regular rice. Vegetables are not as tough as grains or legumes are. This means that they require less cooking to break down their proteins and make them ready to eat. In addition to cauliflower, you can also use broccoli in place of traditional rice. But keep in mind that the green coloring may be off-putting. Also, broccoli does not shred as nicely as cauliflower does. This means that you may have a hard time turning it into the appearance of a rice grain. You can learn how to make cauliflower rice here. Similar to cauliflower, you can process broccoli into rice-sized pieces using a food processor. A 100-gram serving of broccoli contains only 4.4g net carbs which is a perfect low-carb replacement for rice. Not to mention, broccoli is a great source of minerals, vitamins, fiber and antioxidants which is perfect for any diet. Squash is a better alternative to noodles than it is to traditional rice, but you can still make it work. Grab your vegetable spiral and turn your favorite squash into noodles. Then chop them into fine particles until they take on the appearance of rice. Again, you’ll want to remember not to overcook your squash rice. You can steam it, boil it in water, or fry your squash in oil. Zucchini works well because the insides have a white color. You can also use butternut squash or pumpkin. Remember to take the seeds out of the squash before using. 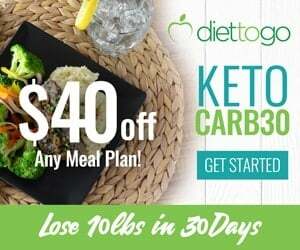 Konjac rice or Shirataki rice is advertised as the perfect keto rice. It’s a plant that grows in warm areas such as Asian with a similar texture as potatoes but without the carbs. The konjac root is made up of mostly water and fiber, which helps keep the net carbs down. You can buy konjac rice at your local health food store. Miracle rice is one example of a product that uses konjac fiber and water to make a no-calorie no-carb version of rice. There are also various other products you can try that contain konjac. Some people might use root vegetables such as carrots, beets, and sweet potato to make replacement for rice. You can cook them as you normally would and shred them down to minimal size so that they take on the appearance of rice. You can do this by adding them to a high-speed blender and pulsing for a few seconds before cooking. 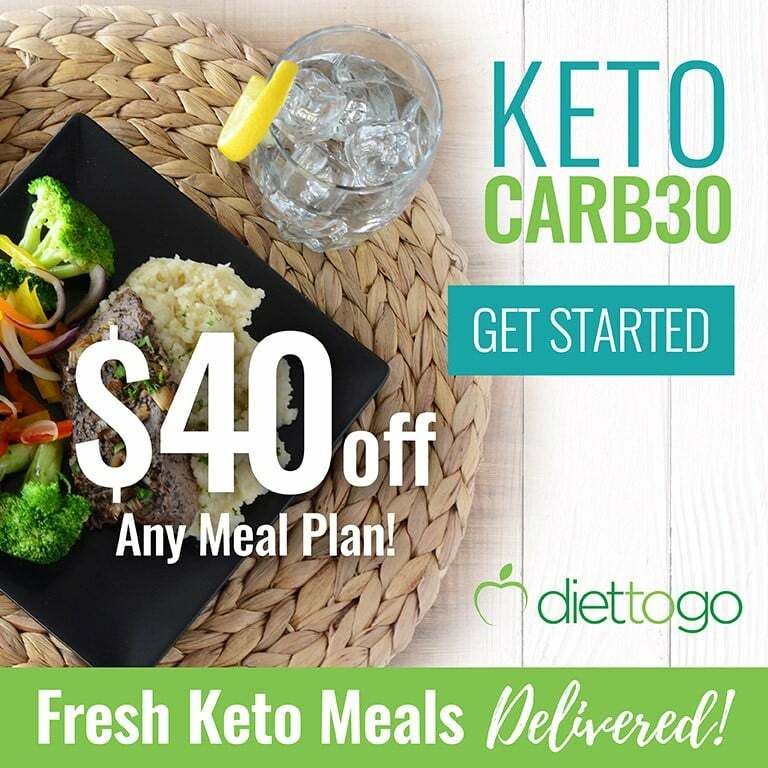 However, keep in mind that although some of these vegetable alternatives are lower in carbs than rice, they are still not considered keto-friendly vegetables. This means that you will want to avoid these if you can, or keep your eye on your total carbohydrate intake for the day when using some higher carb vegetables in your diet. 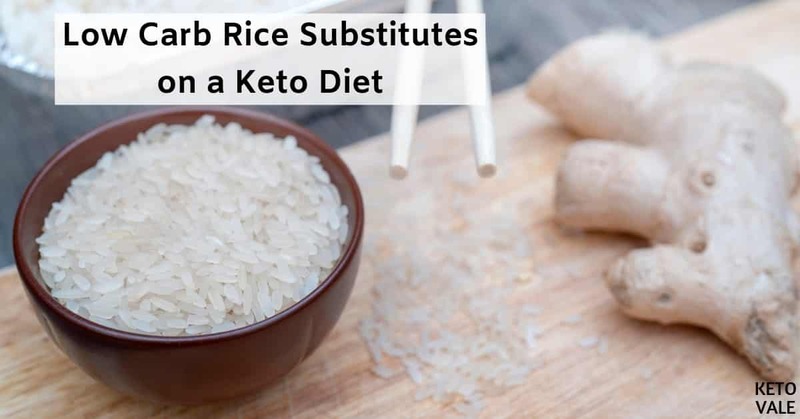 Because it is high in carbs and low in fat, traditional rice is not a ketogenic friendly food, even though rice has many proven health benefits, especially if you eat brown rice instead of white rice. Research shows that brown rice may help reduce the risk of obesity, heart disease, and diabetes. It’s high in fiber, vitamins, minerals, and antioxidants that are stripped from the rice when it is converted to white rice. 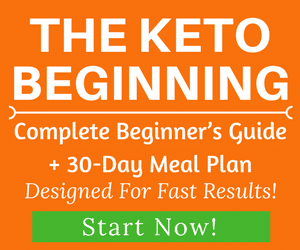 Luckily, there are many low-carb versions of rice that you can add on your ketogenic menu. 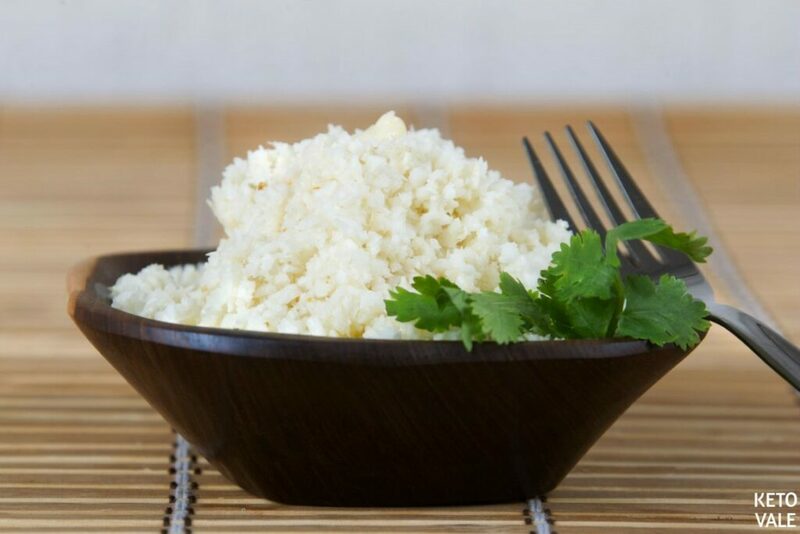 Cauliflower rice is traditionally used in place of white rice. Cauliflower is a great addition to your ketogenic meals because it is low in carbs and takes on the appearance of white rice. Other low-carb vegetables that you can use in place of rice include broccoli, and konjac. Many grocery stores carry the brand konjac rice that contains no calories and would be suitable for ketogenic diet.